If you were ever planning to visit Ukraine, now is the right time: Kiev is officially Europe’s cheapest destination to visit. UK website Simplyholidaydeals.co.uk published the list of places and costs to visit them, putting the Ukrainian capital on top of the cheapest cities for tourists. The recent inflation and drop in the currency exchange for hryvnia provided an unprecedented opportunity for foreign visitors to Kiev, who can now get much more for their cash. Not only you can meet beautiful Ukrainian women during your visit but also see one of the oldest European capitals and live in 5-star hotels for a fraction of the price charged by Hilton and Sheraton in other countries. Having a private guide escorting your though Kiev would costs you hundreds of dollars if you were to hire someone, but you may have a pretty Ukrainian girl accompanying you for free, if you are single and wish to meet women. 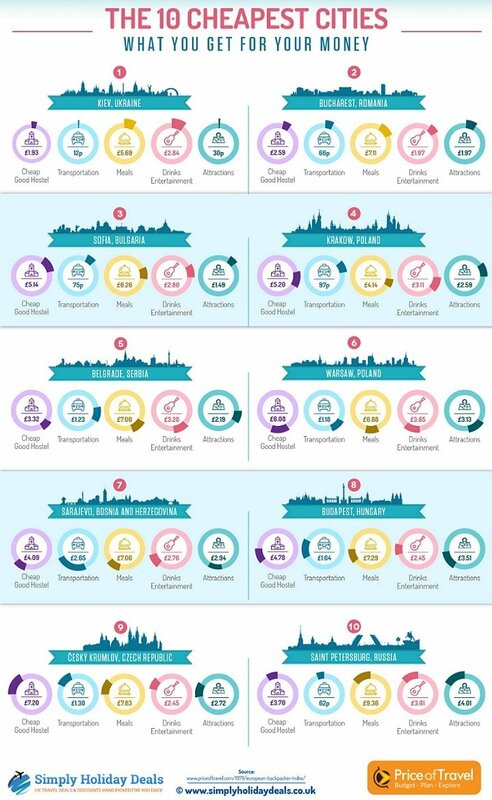 How much it will cost you to travel in Europe — click to enlarge. (Graphics: Simplyholidaydeals.co.uk). Travel dating has become a huge recent trend, and combining fun and pleasure with discovering new cultures is proven to be an adventure of a life time. Young men who are able to take a few weeks for a vacation, as well as the new generation of entrepreneurs, subscribing to the mantra of 4-hour working week, are among the trendsetters embracing the advantages of dating Ukrainian women. So, if you were considering a visit to Europe, why not jump online and see if you can enjoy it even more — and maybe even meet the love of your life? While the Ukrainian capital topped the list of the cheapest cities to visit, Russian metropolis Saint Petersburg also scored the place in top 10. The Northern capital of Russia, as locals call it, used to be the main city and tsar’s residence until the Communist revolution of 1917. Thanks to this historical heritage it is the home of giant luxury palaces built by Italian architects in the style challenging Versailles in France, as well as astounding museums and vibrant cultural and night life. In 2015-2016 you can experience it on the budget due to the same inflation and plummeting currency exchange for the Russian rouble, which only ever happens once in a few decades. So, book your itinerary and pack your bags! Chances like this don’t come around very often — take advantage of the situation while you can. 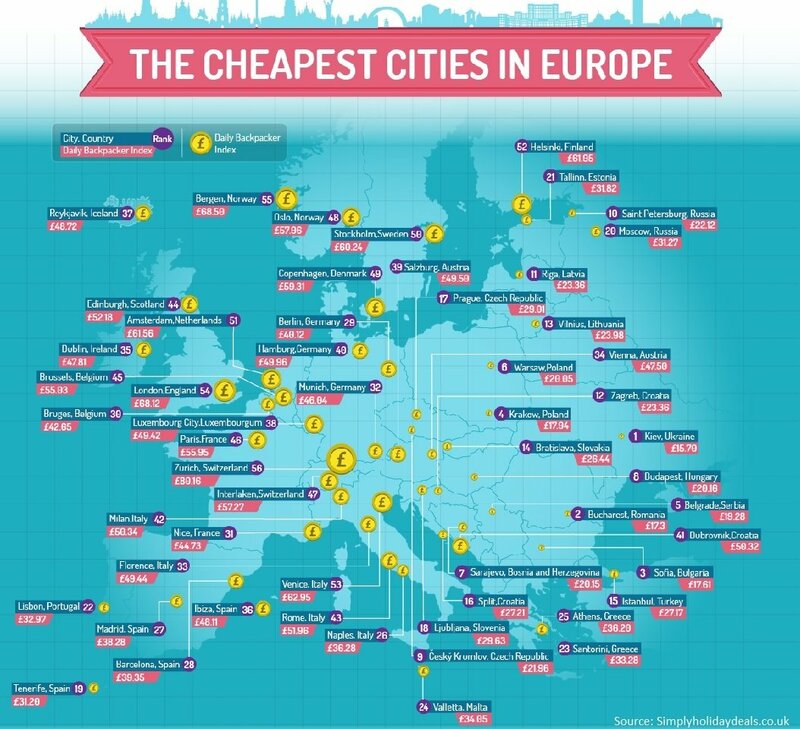 The 10 cheapest European cities for tourists — click to enlarge. (Graphics: Simplyholidaydeals.co.uk). From this top 10 list I would rather go to Poland and Hungary, may be to Saint Peterborough. 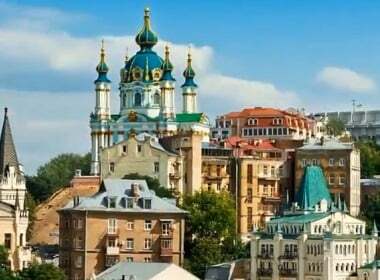 Kiev is really green and gorgeus town, but is it safe now? I was tricked in Kiev by a taxi drivers several times ( to be honest in Poland as well). 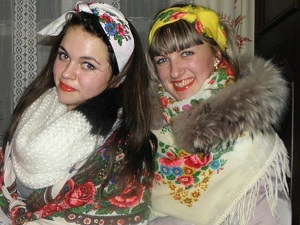 It is fantastic to visit Kiev, but keep an eye on your belongings! Kiev is just as safe as Moscow or Sochi. I paid twice as much for my airline tickets just to avoid stop in Kiev flying from London to Greece. Not everything cheap is acceptable.